In recent weeks, the looting of trucks has caused chaos across the country. A recent incident, over the Freedom Day / Workers’ Day long weekend, saw more than 30 trucks destroyed or damaged - an estimated loss of R250 million. Interruptions to the transporting of goods hamper the running of a business, and therefore, fleet owners and operators find themselves looking for solutions to protect lives and property. Don’t overload! Overloaded vehicles are unsafe, more difficult to handle and are slow. This makes them an easy target for opportunistic criminals when passing through towns or up steep hills. Get additional reinforcement. Spikes can be fitted on strategic areas of the vehicle to deter thieves. Avoid unnecessary branding. Delivery vehicles should rather be unbranded to further avoid advertising what is being transported. Secure your cargo area. Vehicles carrying goods that can easily be looted, should have secure cargo areas, preferably in closed and locked bodies. Have the right vehicle insurance in place. Get Goods in Transit insurance for complete peace of mind and know that your business will be covered for loss or damage to items being transported by road to and/or from the specified business address. Avoid high risk routes: Avoid potential crime hot spots or routes which require the vehicle to move too slowly. In some cases, thieves board the moving vehicles, making it even more dangerous and difficult for drivers to concentrate. 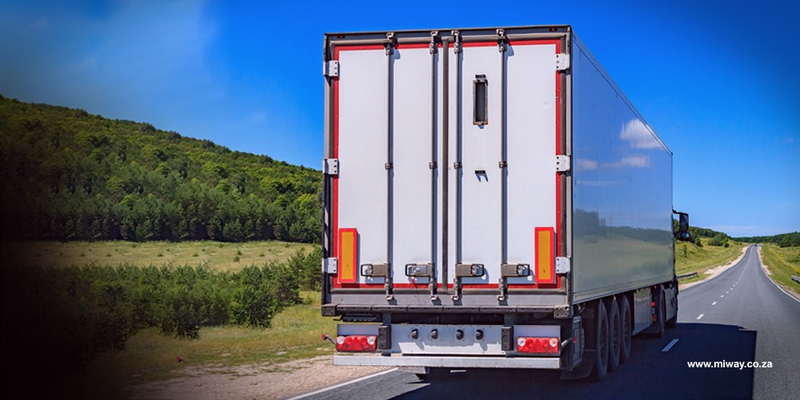 Fleet owners and drivers alike need to be aware of the risk, as well as what can be done to minimise it, in order to protect their stuff, staff and, ultimately, livelihood.